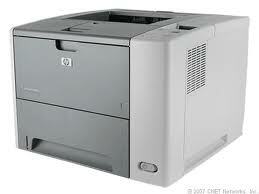 To perform a factory / hard / cold reset on a HP LaserJet P3000 Series printer wasn't that straight forward in my eyes. Although in the menus there was an option for Reset Factory Defaults, this did very little in erasing the configuration and returning the printer to a default state. After reading through a few manuals I found the following performed what HP call a Cold Reset. A cold reset unlocks menus that have been previously locked and sets all control panel menu items(including EIO settings) back to the factory defaults. However, it does not clear the values in the SERVICE menu (such as the serial number and page counts). Before performing a cold reset, print a menu map and a configuration page. Use the information on the configuration page to reset any customer-set device configuration values that the cold reset procedure changes. Turn the device on. When the memory count begins, press and hold the green Check button. Continue holding down the Check button until all three device control-panel lights flash once and then remain on. This might take up to 10 seconds. After the message SELECT LANGUAGE appears on the display, press the up or down button until COLD RESET is highlighted. Press check button. The device performs a cold reset and then continues its power-on sequence. Check all I/O settings and reset any customer-set device configuration values. Where is the hold button? There is no hold button. There will be a green 'Check' button and a red/pink 'Cancel' button. It is truly a nice and useful piece of information. I am satisfied that you shared this useful information with us. Please keep us informed like this. Thank you for sharing. You made my day :) !! !